The AR9280 dual-band (2.4GHz and 5GHz) 2x2 MIMO PCIe design targets enterprise and high-end consumer notebooks. The solution provides leading 802.11a/g/n performance supporting up to 300 Mbps physical data rates, which enables up to 10 times the throughput and more than twice the range of 802.11a/g solutions. 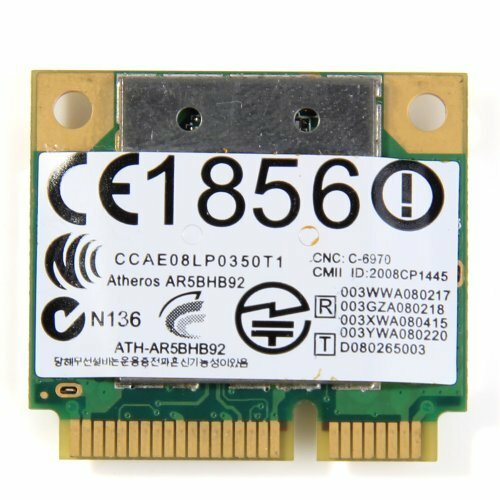 Atheros Wake-on-Wireless allows the host system to go into very low-power standby mode, but be awakened at any time by the network, or a remote device. The AR9280 and AR9281 chips support this operation by processing incoming packets independently, and waking the host only when a message requesting the host system take action arrives. This feature allows the notebook to remain in a low power state until the network or a remote device requests information.